Going to the right cosmetic dentist can make all the difference in what kind of results you will receive. Michael Vito DDS is a family dentistry in Ocoee, FL that specializes in turning stained, worn out teeth into a smile that everyone will remember. From basic whitening to teeth reshaping and veneers, our dentists are highly trained in all areas of cosmetic dentistry. At Michael Vito DDS, we always inform our patients on what options they have and how they can achieve the results they’re looking, within their budget. Each patient requires different procedures to get their smile up to their expectations. While crowns and veneers may be the way for some, others may just need a tooth filling to give them the perfect smile. We have patients that come to us that swear they need dental implants, when in reality, a simple reshaping will do the trick. When choosing a cosmetic dentistry in Ocoee, most people feel more comfortable with an established dentist with plenty of experience. Michael Vito DDS has been serving the Central Florida area for years with great results. 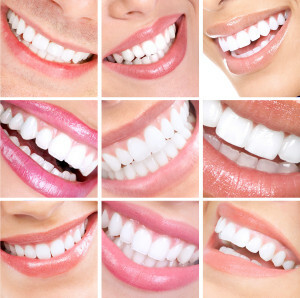 Just visit out Smile Gallery and see for yourself! Unlike many dentists, our focus is to make our patients feel comfortable during their visit. Even our smallest cosmetic dentistry procedures are handled with extreme care and attention to detail. Speak With Your Dentist Today! Have a question about how Michael Vito DDS can serve you? Fill out the form or give us a call! Our dentists and associates are standing by, ready to help in any way possible. If you’re trying to achieve the beautiful, white smile you’ve been missing all these years, call us at (407)905-9888 to make an appointment.